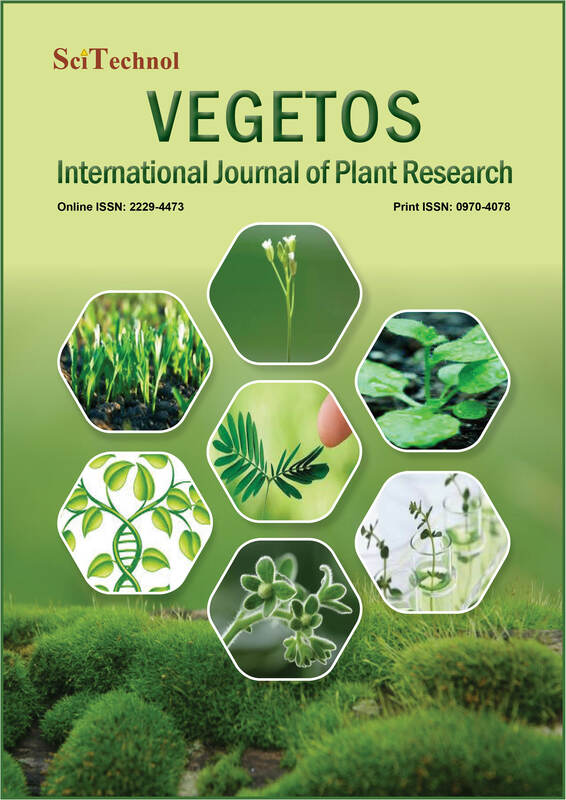 VEGETOS: An International Journal of Plant Research is being published since 1988. The journal covers the publication of original research work in all spheres of Botany, Plant Sciences, Biotechnology, Environmental Science, Phytochemistry, Agriculture and Bioinformatics. VEGETOS is a peer-reviewed hybrid scholarly journal committed to progress itself by disseminating the research developments pertaining to the field of Plant Research. It serves as a medium for researchers and scholars to publish their research outcome. Original articles such as research article, case reports, conference proceeding, commentaries, short communications, rapid communication, conference abstracts are accepted in our journal. 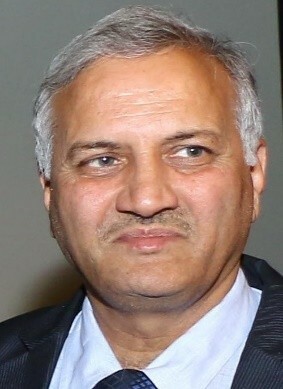 Review processing is performed by the editorial board members of VEGETOS or outside experts; at least two independent reviewers approval followed by editor approval is required for acceptance of any citable manuscript. Authors may submit manuscripts and track their progress through the online tracking system. Agricultural Science is a broad multidisciplinary field of sciences that consists of the parts of precise, natural, and social sciences that are utilized in the practice and understanding of agriculture. Agronomy is research and development related to studying and improving plant-based crops. Botany is the science of plant life and a branch of biology that deals with the study of plants. Plants are a wide range of living organisms from the tiniest organisms to the mammoth living organisms. In general terms plants include algae, fungi, lichens, mosses, ferns, conifers and flowering plants. Botany is the scientific discipline that works on observation, experimentation, recording, classification, and the testing of hypotheses, in a methodological manner. Journal of Botany, Canadian Journal of Botany, American Journal of Botany, The Journal of Experimental Botany, International Journal of Modern Botany, Botanical Studies, open access botany journals, open access botany journals, Brazilian Journal of Botany, Belgian Journal of Botany, Journal of Indian botany. Horticulture Sciences is the branch of agriculture that deals with the art, science, technology, and business of vegetable garden plant growing. Horticulture is the science and art of producing, improving, marketing, and using fruits, vegetables, flowers, and ornamental plants. It differs from botany and other plant sciences in that horticulture incorporates both science and aesthetics. Plant Biochemistry is the study of chemical processes within and relating to living organisms. By controlling information flow through biochemical signaling and the flow of chemical energy through metabolism, biochemical processes give rise to the complexity of life. Today, the main focus of pure biochemistry is in understanding how biological molecules enhance the processes that occur inside living cells, which directly relates greatly to the study and understanding of entire organisms. Plant Cell Biology deals with the study of plant cells and its organelles. The nature of behaviour of plant cells and its organelles in the functioning and development of the plant. The various processes undertaken by the cells in the plant can be studied indepth in plant cell biology. Cells play a vital role in the growth and development of the plant. Plant ecology is a branch of ecology which is concerned with the distribution and spread of plants, the effects of environmental factors onto the plants, and the interactions and communication between plants and other organisms. Diverse methodologies and approaches involved in the study and its implications in the nature and thoroughly assessed in the field of Plant Ecology. Journal of Plant Ecology, Plant Ecology & Diversity, Plant Ecology, Evolution and Systematics, Frontiers in Plant Science, Plant Ecology and Evolution, Journal of Ecology, Chines Journal of Plant Ecology, Ecological Applications. Plant Genetics is a wide spectrum term. There are muliple types of genetics in general. The concept of genetics is the branch of biology that deals with heredity, especially the mechanisms of hereditary transmission and the variation of inherited characteristics among similar or related organisms. 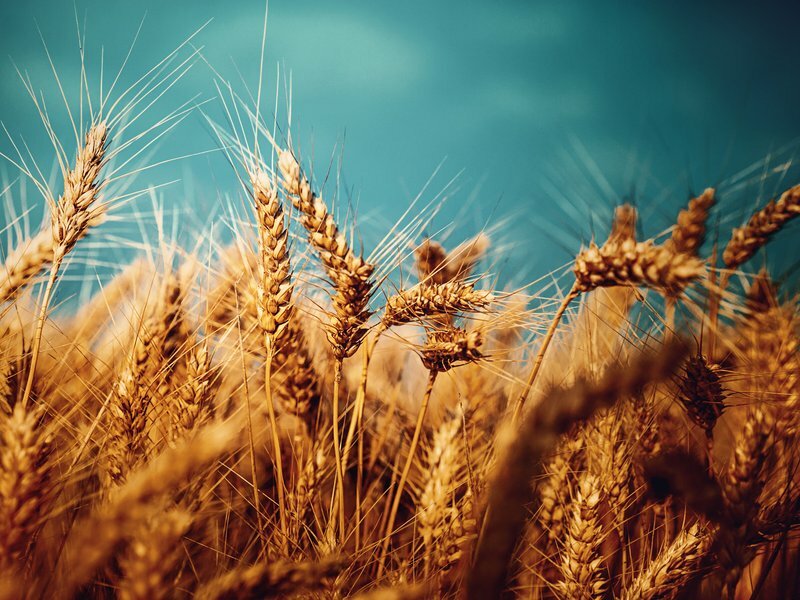 Plant genetics deals with the associated activities of the plant that effect the day to day life processes of the plant. Plant Genomics is the part of molecular biology working with the structure, function, evolution, and mapping of genomes in plants. Genomics is the study of genes, their expression and their activities, the role played in biology. Genomics is a branch of genetics that is concerned with the sequencing and analysis of organism's genome. Genomis aids us in maintaining the large number of database that assists us to study genetic variation. Genomics, BMC Genomics, Molecular Genetics and Genomics, Physiological Genomics, Functional and Integrative Genomics, Briefings in Functional Genomics and Proteomics, Journal of Structural and Functional Genomics, Current Genomics, Human Genomics, Comparative and Functional Genomics. Plant Molecular biology is the study of biology at a molecular level. The field is interconnected with other areas of biology, particularly genetics and biochemistry. Plant Molecular biology mainly concerns itself with understanding the interactions betwesen the various systems of a cell, including the interrelationship of DNA, RNA and protein synthesis and learning how these interactions are monitored. 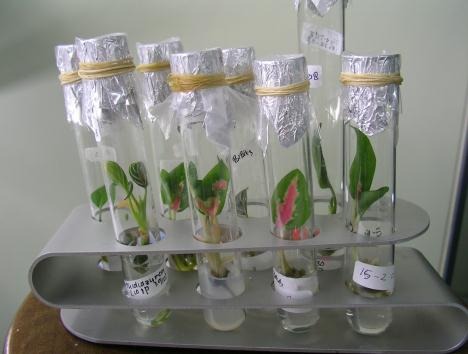 Plant pathology is the scientific analysis of diseases in plants caused by pathogens and environmental conditions. Organisms that cause infectious disease include fungi, oomycetes, bacteria, viruses, viroids, virus-like organisms, phytoplasmas, protozoa, nematodes and parasitic plants. Plant pathology also involves the study of pathogen identification, disease etiology, disease cycles, economic impact, plant disease epidemiology, plant disease resistance, how plant diseases affect humans and animals, pathosystem genetics, and management of plant diseases. Journal of Plant Pathology & Microbiology, Journal of Plant Pathology, Journal of General Plant Pathology, Canadian Journal of Plant Pathology, Physiological and Molecular Plant Pathology, Phytopathology, Plant disease. Phylogenetics Journals, Molecular Phylogenetics and Evolution, International Journal of Evolution, Arthropod Systematics & Phylogeny, Phylogenetics, Phylogenomics, and Systematics, Persoonia. Plant physiology is a subdivision of botany related with the functioning, physiology of plants. Inter related fields include plant morphology (structure of plants), plant ecology (interactions with the environment), phytochemistry (biochemistry of plants), cell biology, genetics, biophysics and molecular biology. Plant Proteomics is concerned with the entire complement of proteins of plants including the modifications made to a particular set of proteins. Proteomics is an indepth study of a specific proteome, including information on protein and its modifications and variations. Proteomics works with the interacting partners and members associated with it in a sequential network. Proteomics Journals, Journal of Data Mining in Genomics & Proteomics, Journal of Proteome Research, International Journal of Proteomics, Journal of Proteomics, Journal of Proteins and Proteomics, Journal of Proteomics and Genomics, Transcriptomics Journals. Plant Reproduction is the creation of new individuals or offspring in plants, which can be refined by sexual or abiogenetic proliferation. Sexual reproduction produces posterity by the combination of gametes, bringing about posterity hereditarily not quite the same as the guardian or folks. Abiogenetic generation delivers new offsprings without the combination of gametes, hereditarily indistinguishable to the guardian plants and one another, aside from when changes happen. 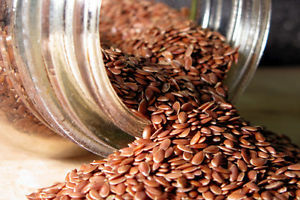 In seed plants, the offspring can be bundled in a defensive seed, which is utilized as an source of dispersal.